Space. The final frontier. 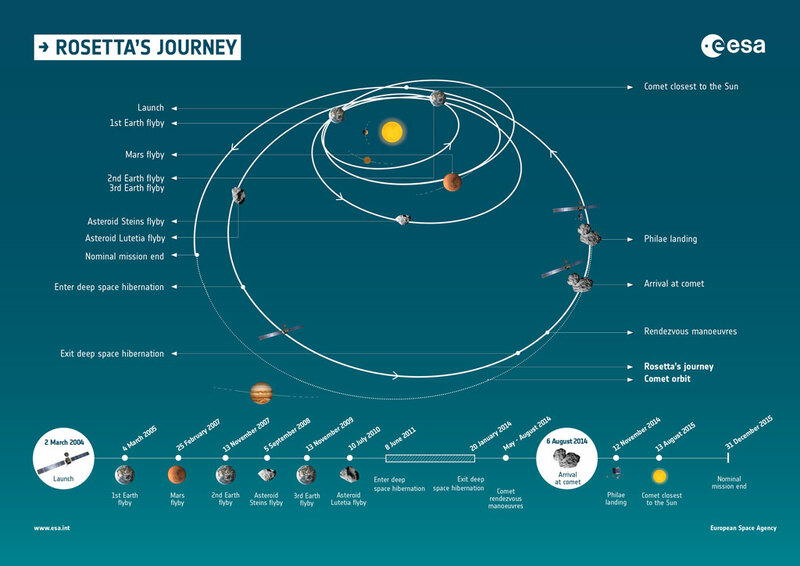 These are the voyages of the spacecraft Rosetta. Its 11-year mission: to orbit comet 67P for 17 months, to deploy the Philae lander on its surface, to complete the most detailed study of a comet ever attempted before. A space probe built and launched by the European Space Agency (ESA), Rosetta is the first spacecraft to ever orbit a comet, and an estimated 2,000 individuals have assisted in its mission in some way over the years. 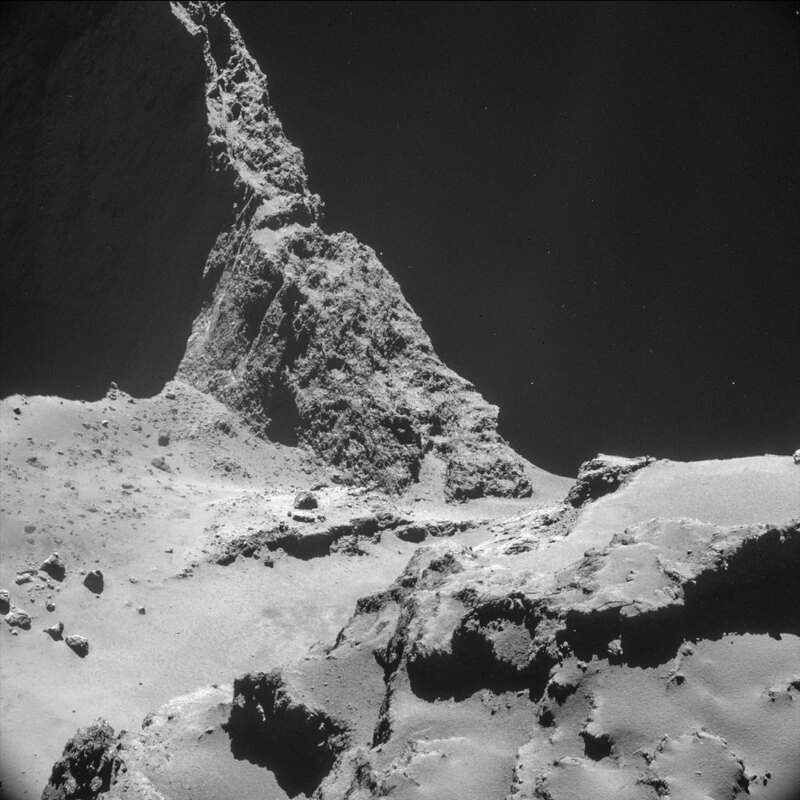 Rosetta's robotic lander, Philae, achieved the first-ever landing on a comet last week, and its instruments obtained the first images taken from a comet's surface - a spectacular sight. 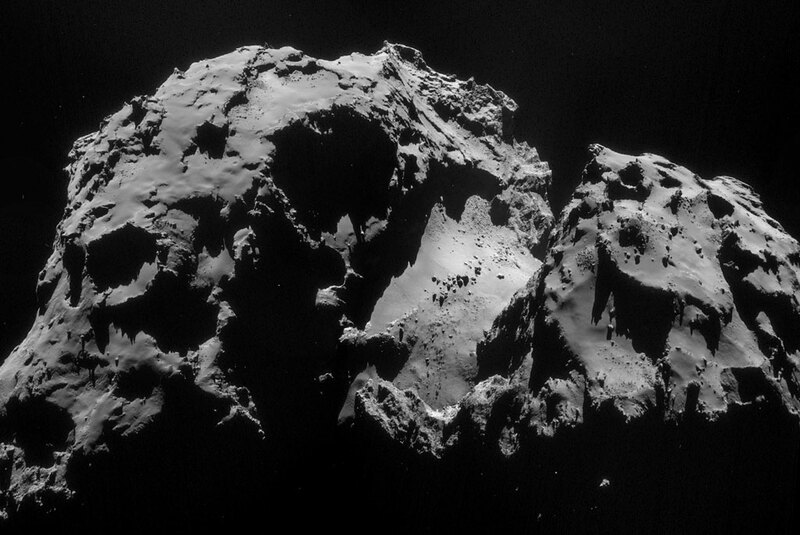 The comet, 67P/Churyumov-Gerasimenko - or just 67P, for short - zips around our solar system at up to 84,000 mph. 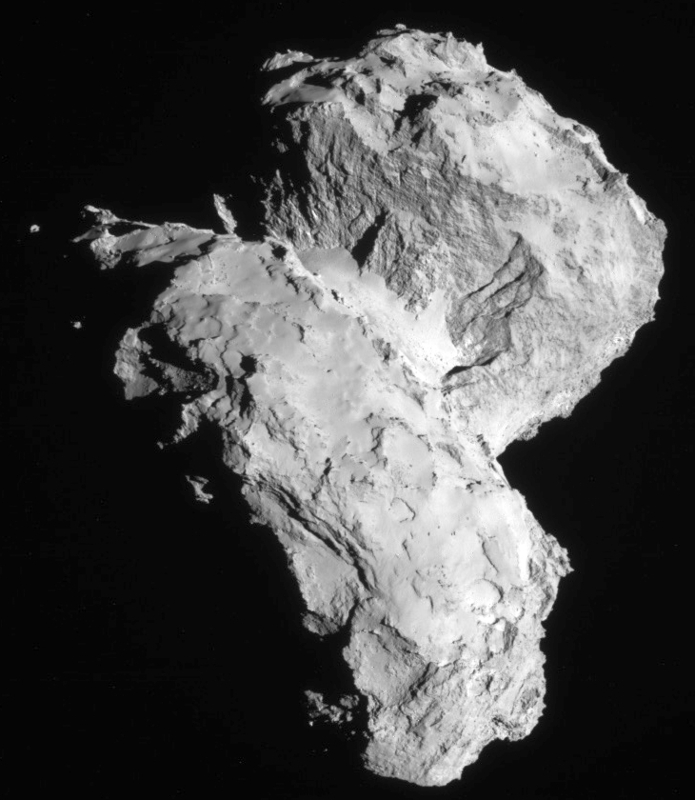 Measuring approximately 2.5 miles by 2.7 miles at its widest and longest, its unusual shape is reminiscent of a giant rubber duck (see the images, below, taken by Rosetta and the ESA). 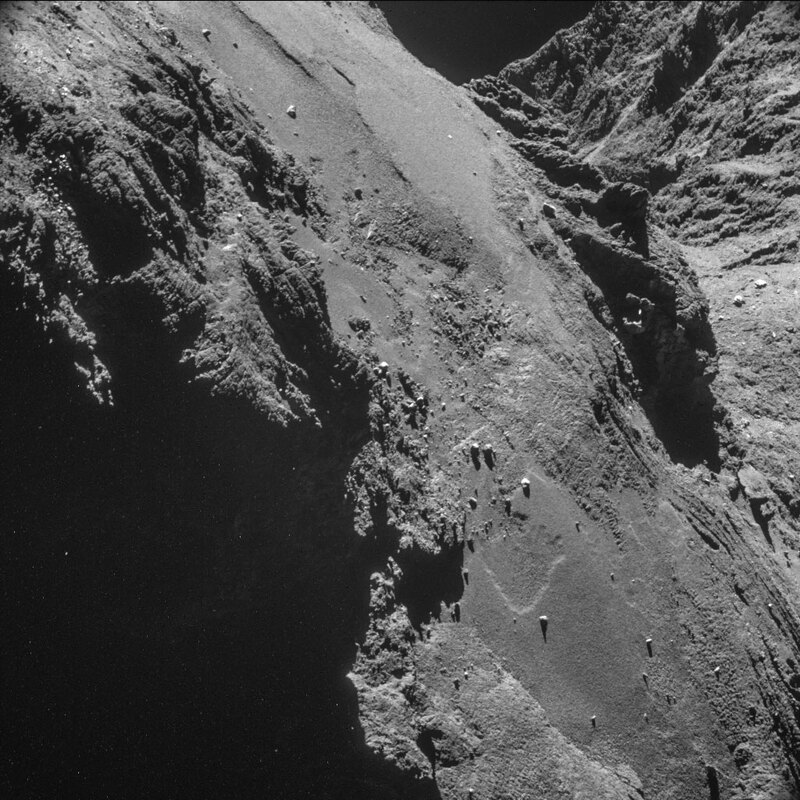 A key part of Rosetta's mission was recently realized - the landing of Philae, which was met with some unfortunate incidents. Let's take a look at a timeline of events, going as far back as the inception of the mission concept. March 13, 1986: ESA's spacecraft Giotto approaches Halley's Comet and is the first ever to make up-close observations of a comet. The collected data spurs NASA and ESA to cooperate on developing probes to further study comets. 1992: NASA cancels its comet-rendezvous mission due to budget constraints. 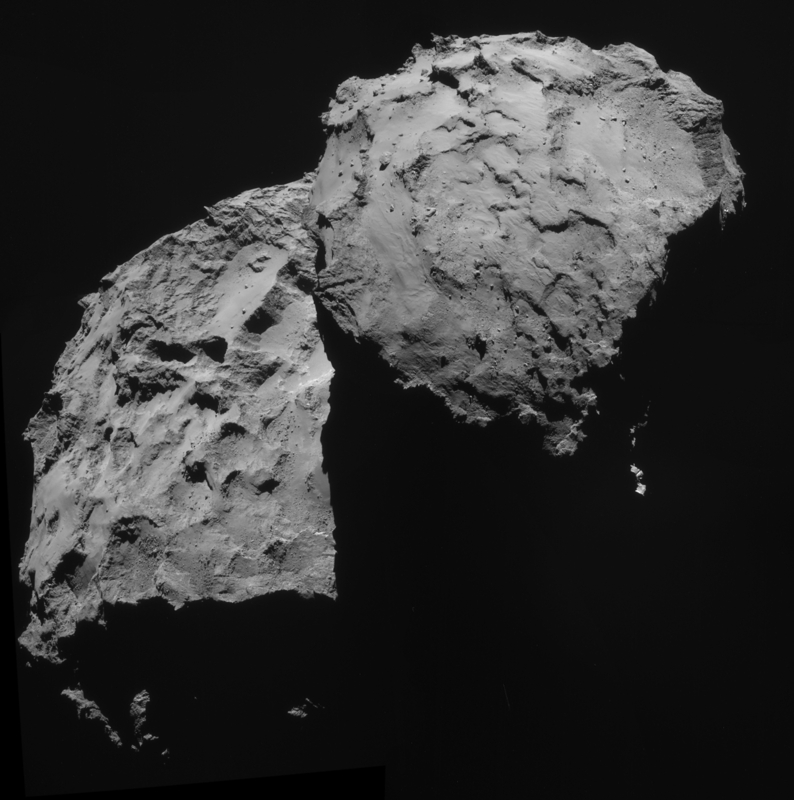 ESA begins to develop a similar idea of its own, and the Rosetta mission is born. December 11, 2002: A failure in the carrier rocket intended to ferry Rosetta into space forces the abandonment of the initial launch date of 2003 and scheduled comet rendezvous year of 2011. A new plan is devised: Rosetta will launch on February 26, 2004 and rendezvous with the comet in 2014. March 2, 2004: Two scrubbed launch attempts push back the intended February 26 launch date, but Rosetta successfully launches on its third attempt. March 4, 2005: Rosetta makes its first flyby of Earth, using the planet's gravity to help adjust its speed and trajectory. February 25, 2007: In order to correct its trajectory, a risky maneuver that involves a close flyover of Mars is executed. Rosetta drifts through the planet's shadow for 15 minutes, and losing power due to the lack of sunlight is a serious concern. The spacecraft is put into standby mode to conserve power, and during this time, some of the Philae lander's instruments are activated for the first time to record images and take measurements of Mars and its atmosphere. The gamble pays off, and the mission proceeds according to plan. November 13, 2007: Rosetta makes its second flyby of Earth and is briefly misidentified as an asteroid during its approach. September 5, 2008: Rosetta performs a close flyby of asteroid 2867 Steins, passing the object at a relative speed of 19,000 mph. November 12, 2009: Rosetta makes its third and final flyby of Earth, traveling at almost 30,000 mph. July 10, 2010: Rosetta flies by asteroid 21 Lutetia at over 33,000 mph while taking 462 images of roughly half of its surface. 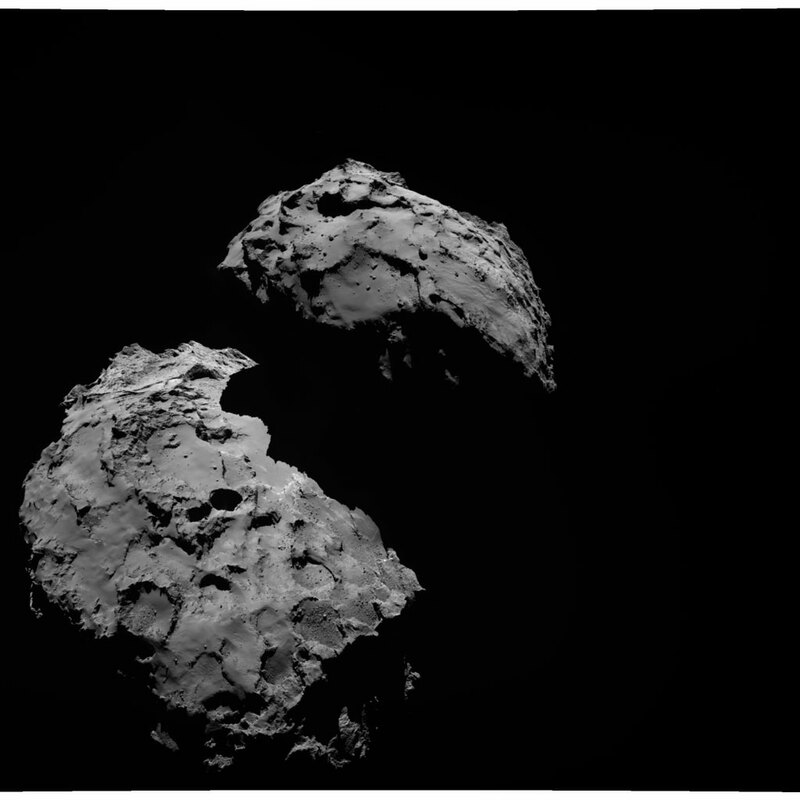 June 8, 2011: Rosetta enters hibernation mode to conserve power. 2013: Non-profit aerospace organization Copenhagen Suborbitals discovers that the propellant nitrocellulose is unreliable in a vacuum. 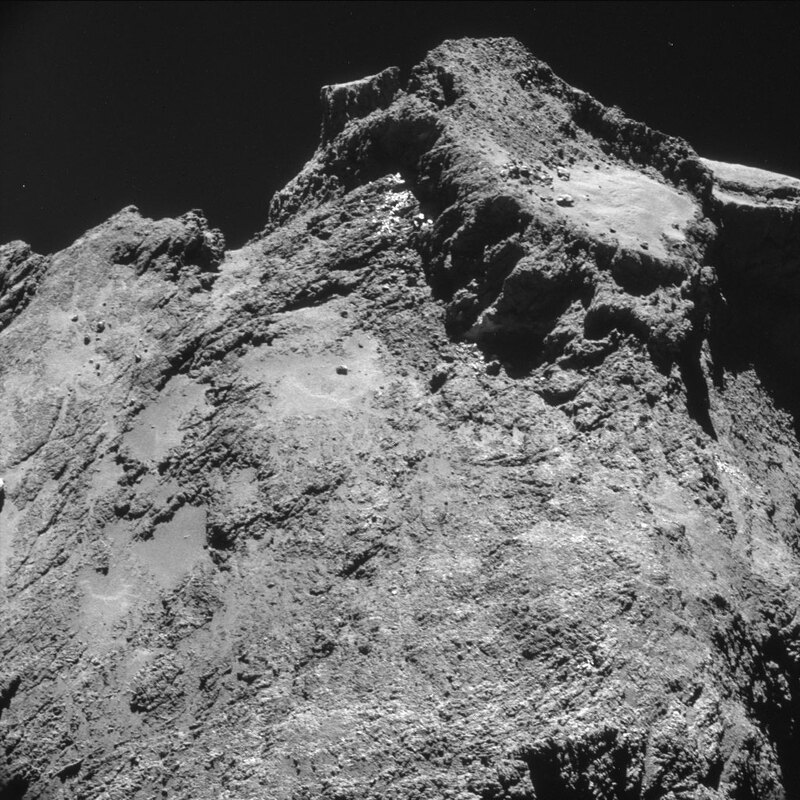 The propulsion system for the harpoons intended to tether Philae to the comet contains 0.3 grams of nitrocellulose. 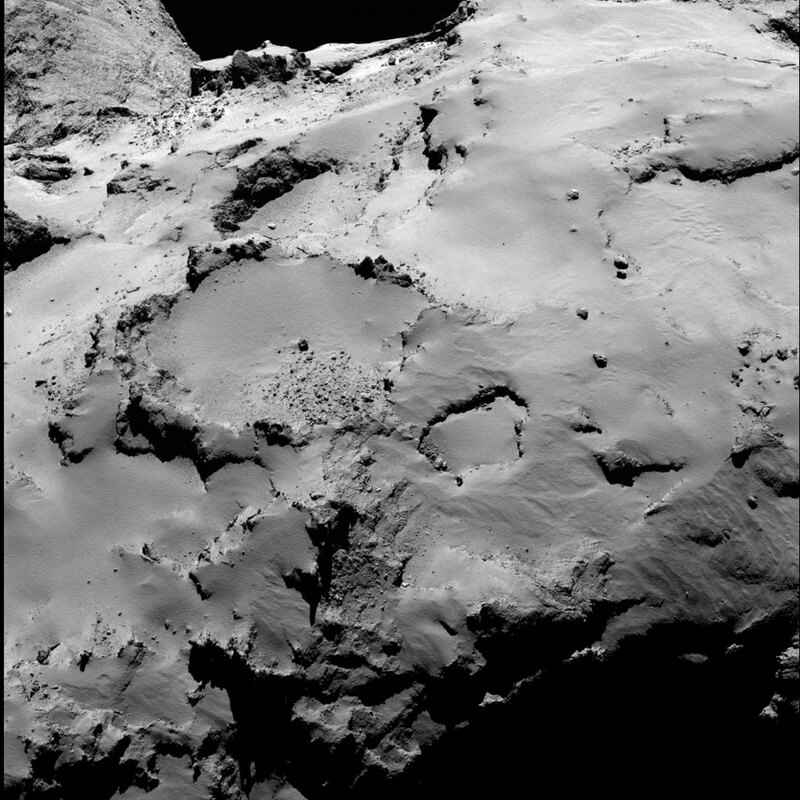 January 20, 2014: Rosetta reawakens from hibernation, and communication with the spacecraft is restored. 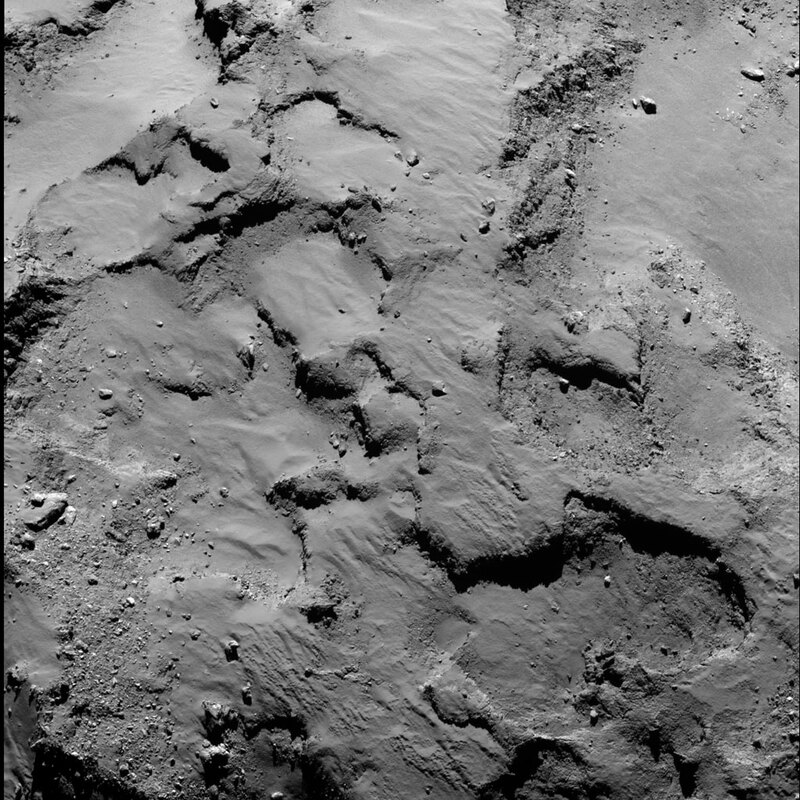 May 7, 2014: Rosetta begins a series of eight deceleration burns to slow it down as it approaches comet 67P, eventually reducing its relative speed to about 18 mph over the coming weeks. 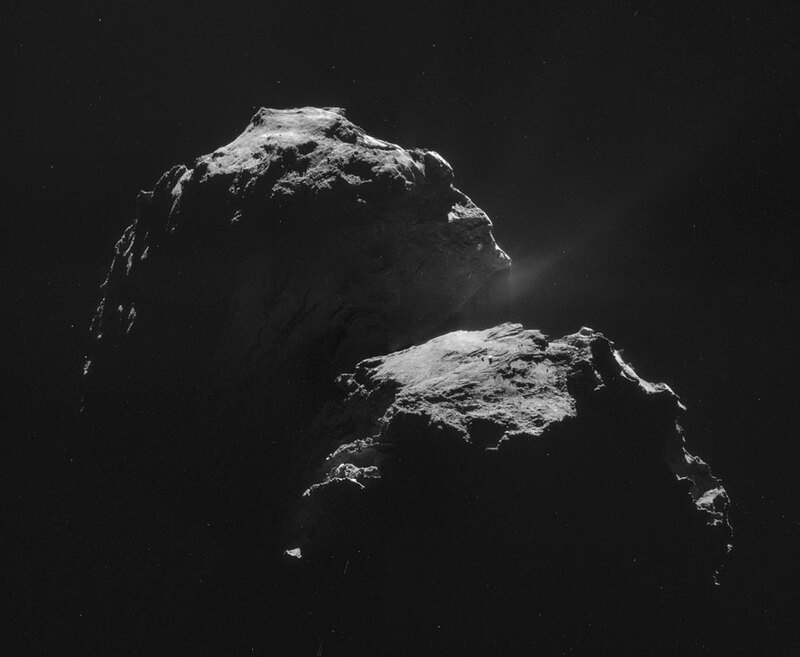 July 14, 2014: Rosetta sends back images of Comet 67P, revealing its irregular shape. 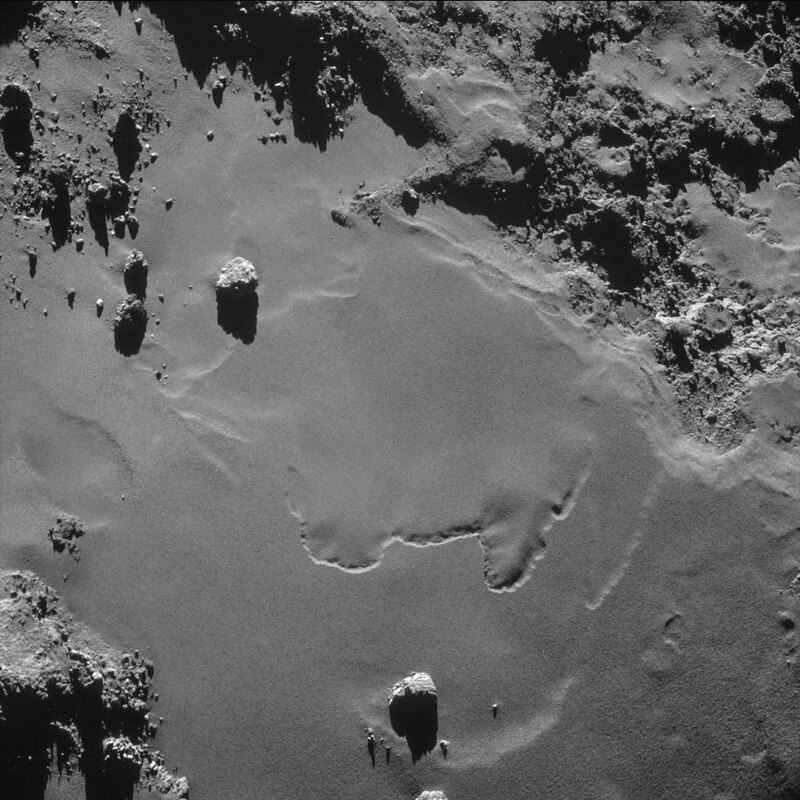 August 6, 2014: Rosetta makes its rendezvous with comet 67P and begins a series of maneuvers to approach the comet further. 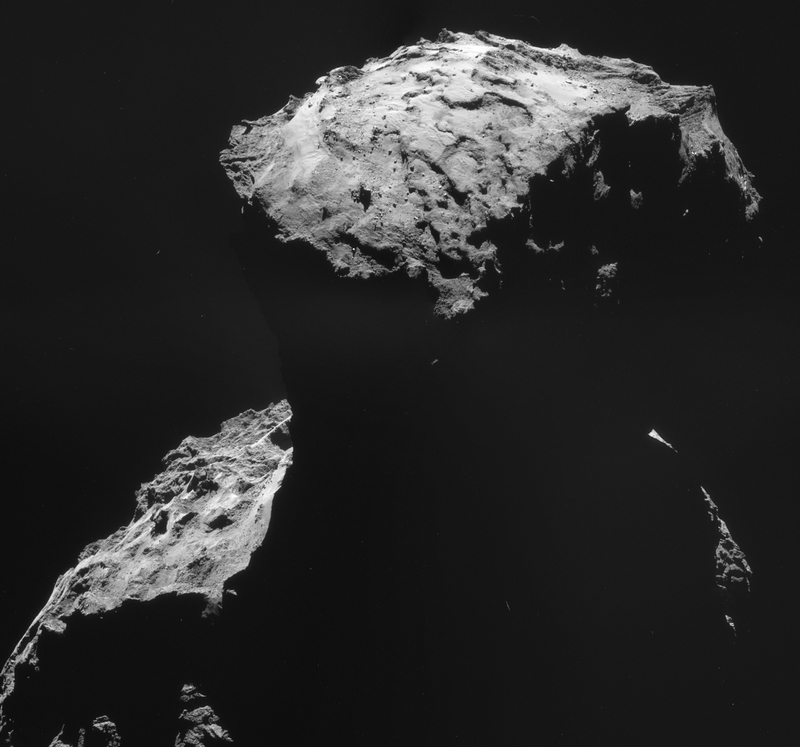 August 25, 2014: Five potential landing sites for Philae have been established. 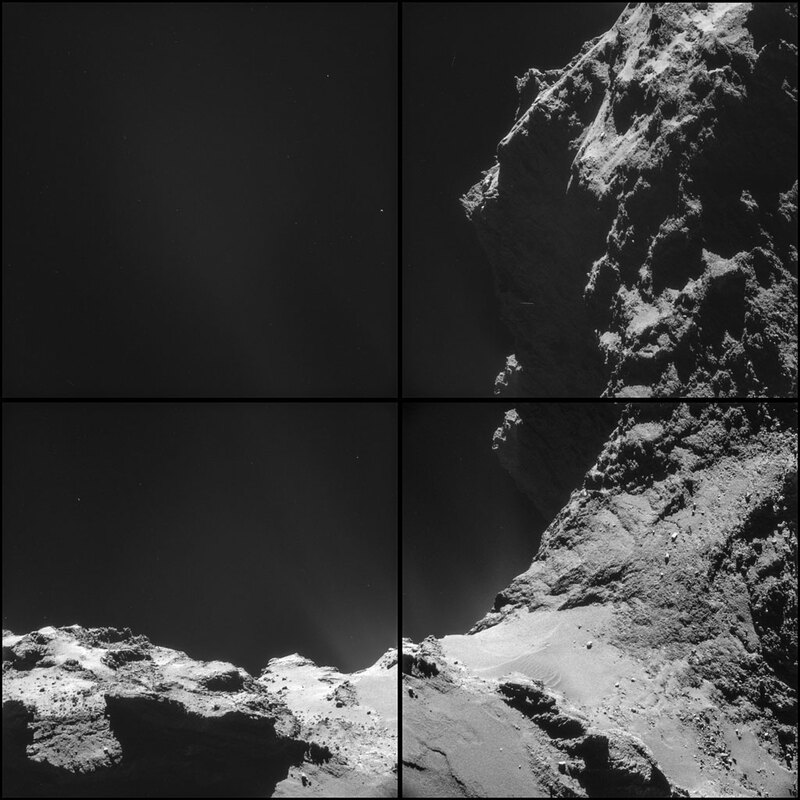 September 10, 2014: Rosetta enters orbit around comet 67P. 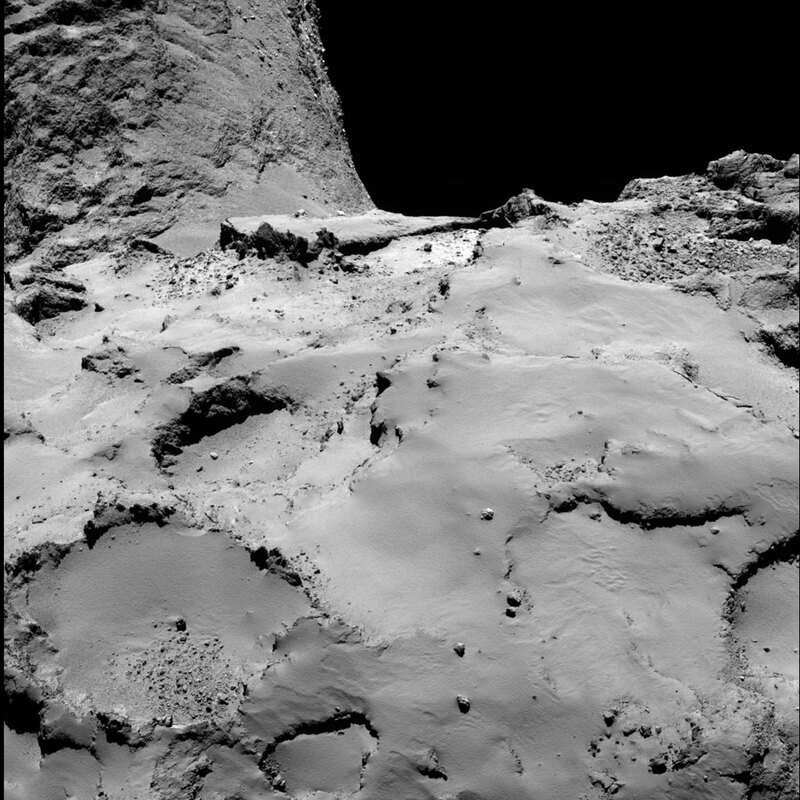 September 15, 2014: A landing site is selected for Philae. 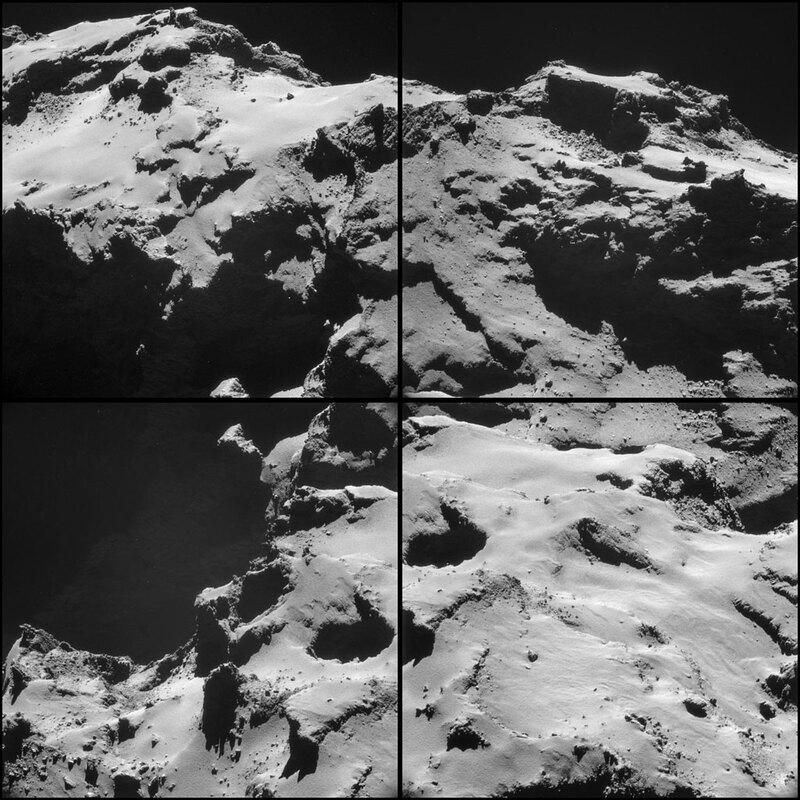 November 11, 2014: Final tests begin to be performed before Philae's planned detachment from Rosetta. The lander's thruster is shown to be malfunctional, but it cannot be repaired. 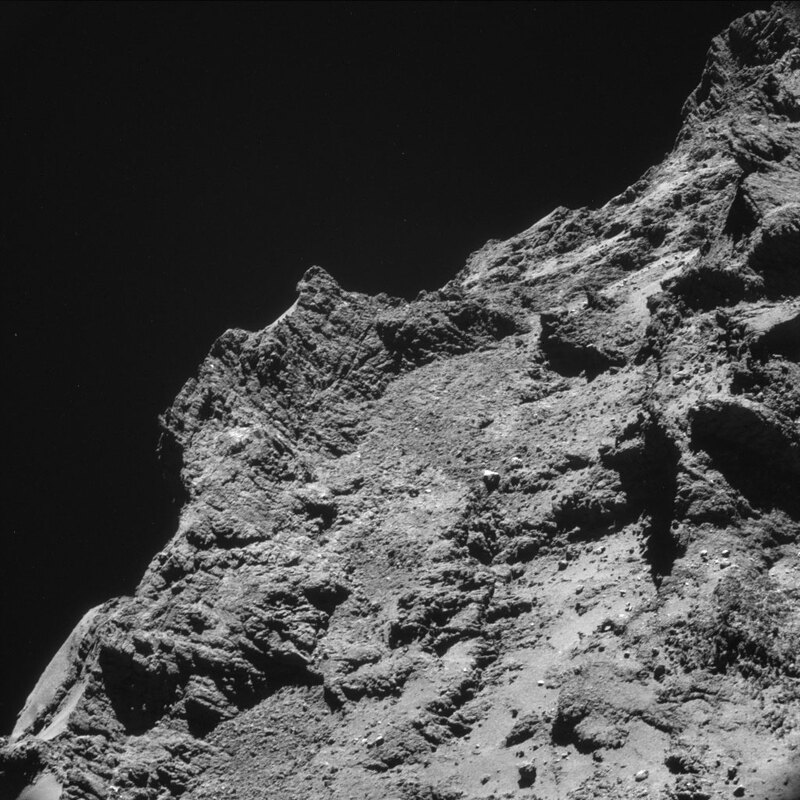 November 12, 2014: Philae detaches from Rosetta and touches down on the comet. However, the harpoons do not deploy, and the thruster - intended to help with the landing - does not activate. 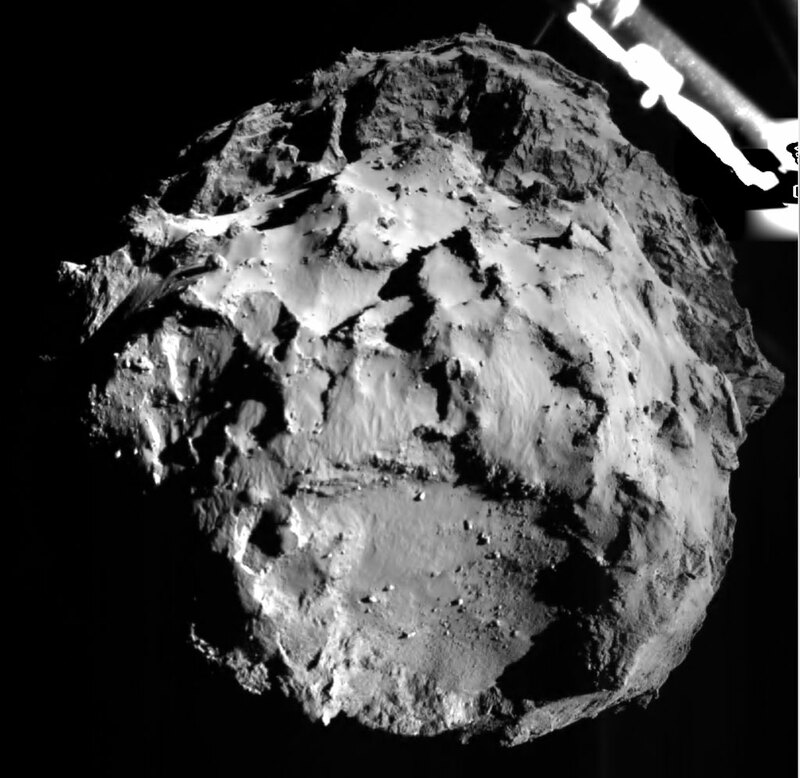 As a consequence, Philae bounces off the comet's surface twice and finally lands seven hours after initial deployment, nearly a kilometer away from its initial landing spot. 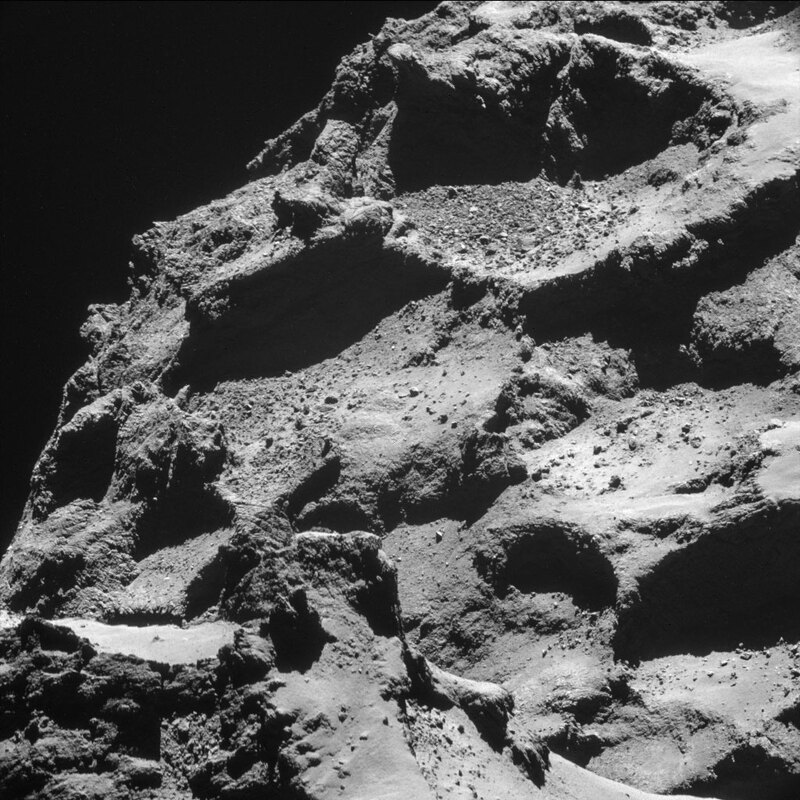 November 14, 2014: It is estimated that Philae only has enough power left to remain operational for the rest of the day. The lander's initial battery charge was enough to provide 60 hours of operation, and solar panels were intended to keep the lander powered thereafter. 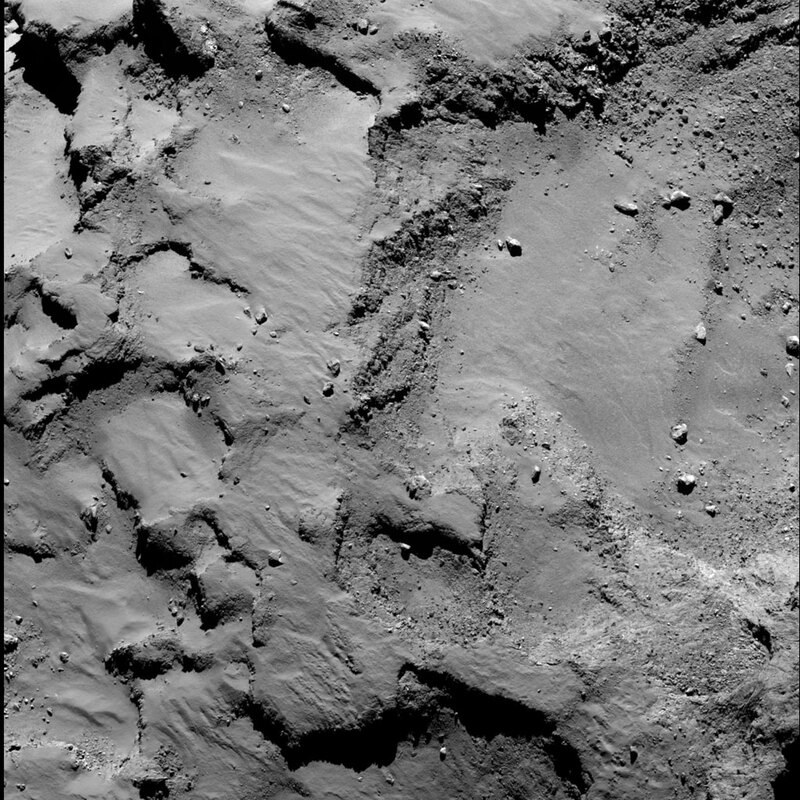 Unfortunately, Philae's final landing spot after bouncing placed it in partial darkness, receiving sunlight for only 1.5 hours every 12 hours. 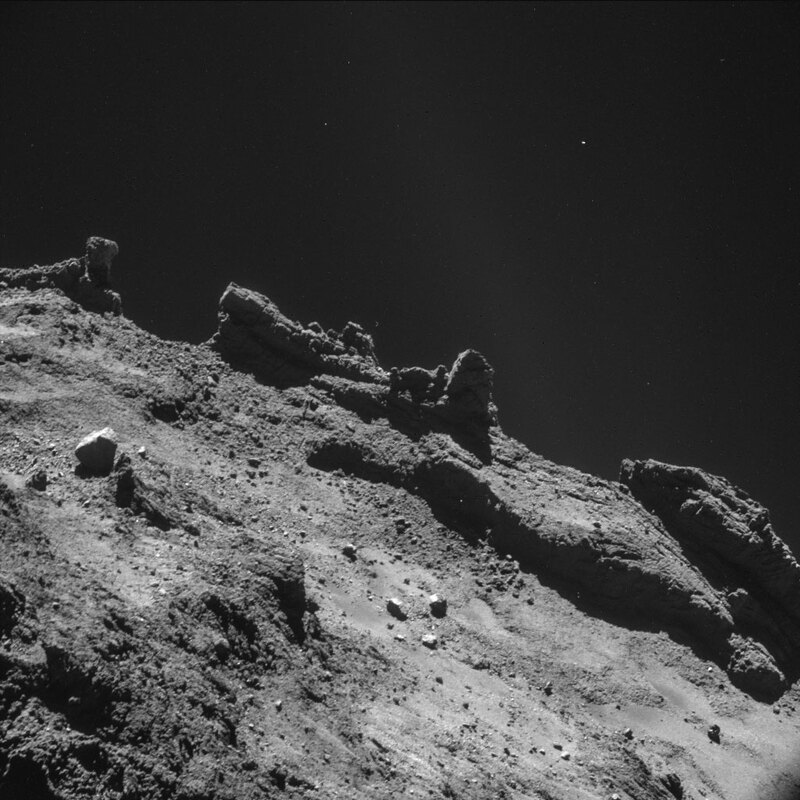 November 15, 2014: With time running out, Philae's largest solar panel is tilted toward the Sun as a last-ditch effort. 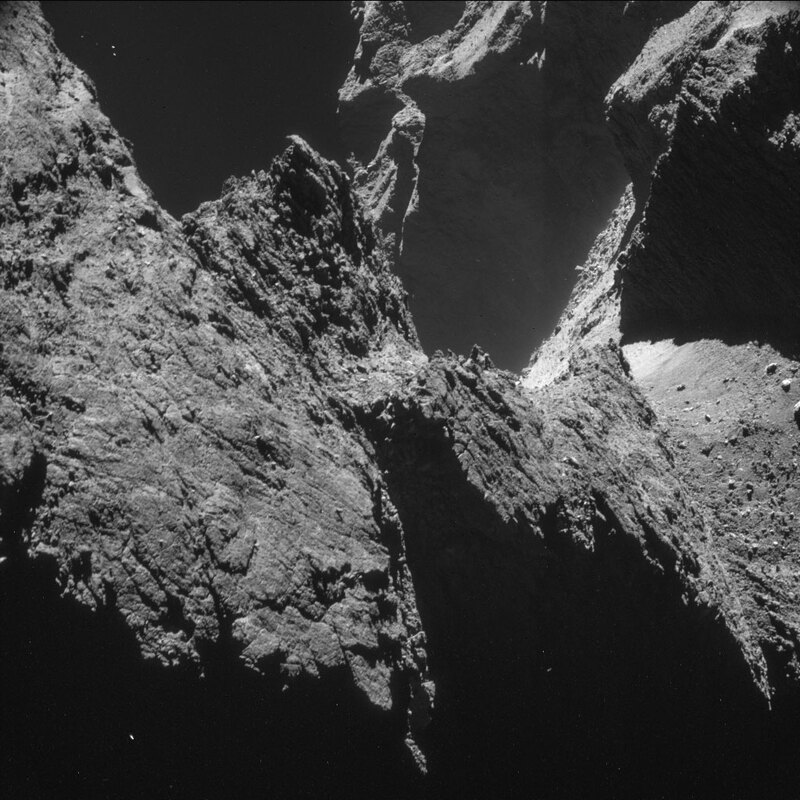 Philae exhausts the last of its power reserves, and all contact is lost. 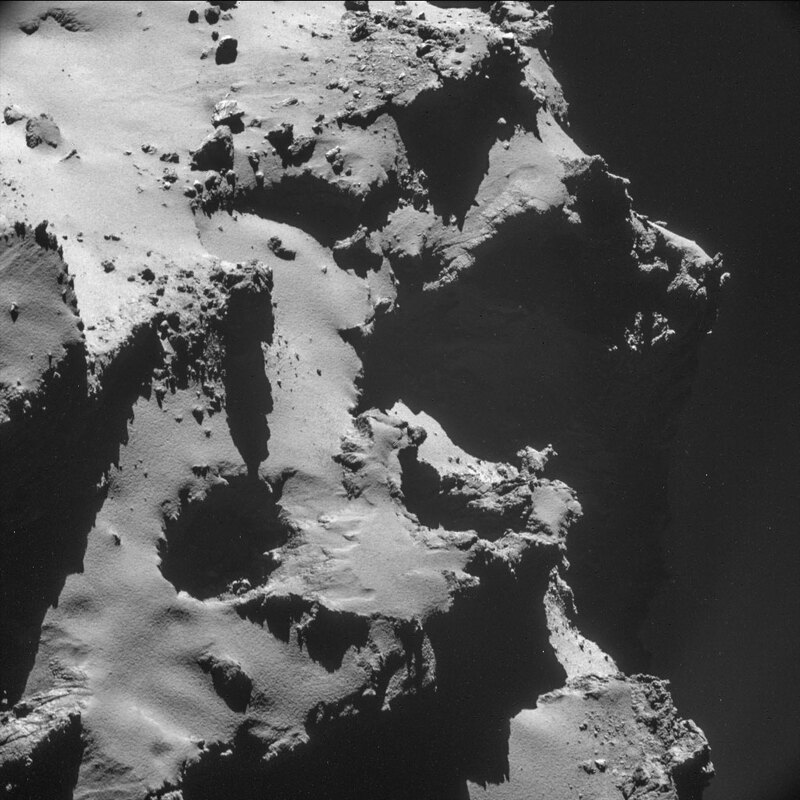 But before powering down, Philae is able to transmit all the images and data it had collected up to that point. 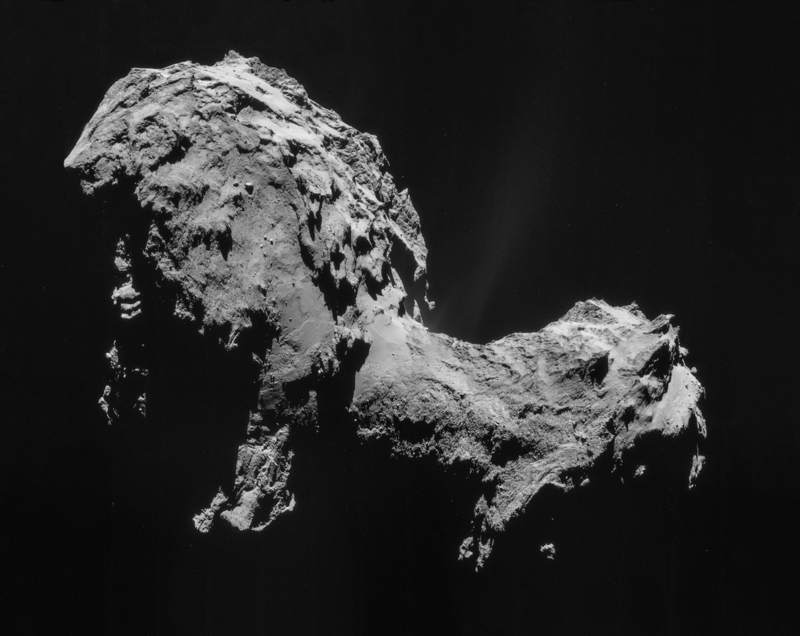 August, 2015: By this time, comet 67P will have moved much closer to the Sun. 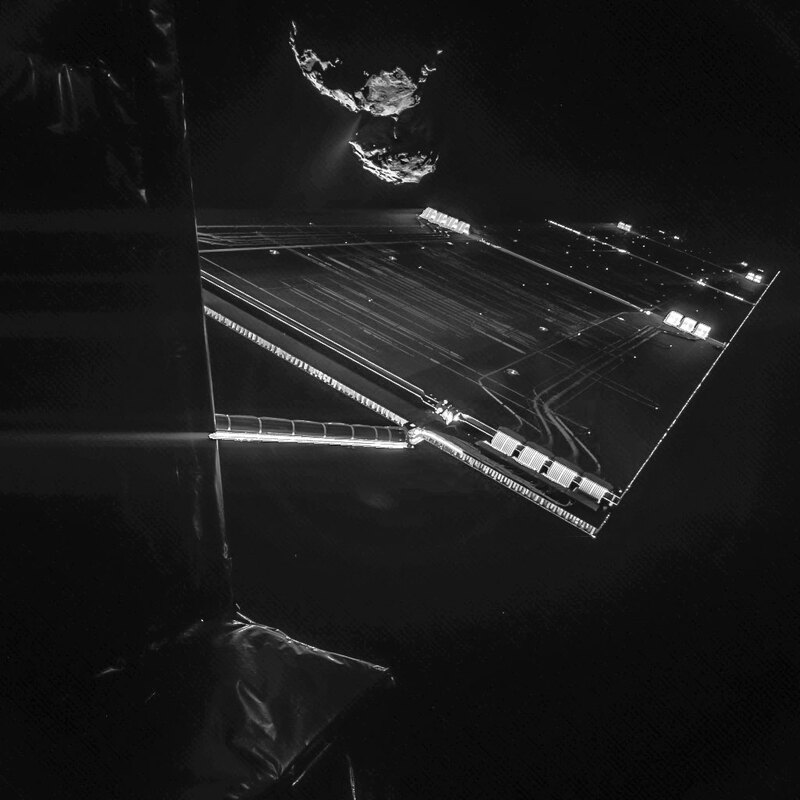 The possibility exists that Philae's solar panels will be able to receive enough sunlight in order to reawaken the lander, and sScientists believe that the repositioning of the solar panel may have paid off to that end. 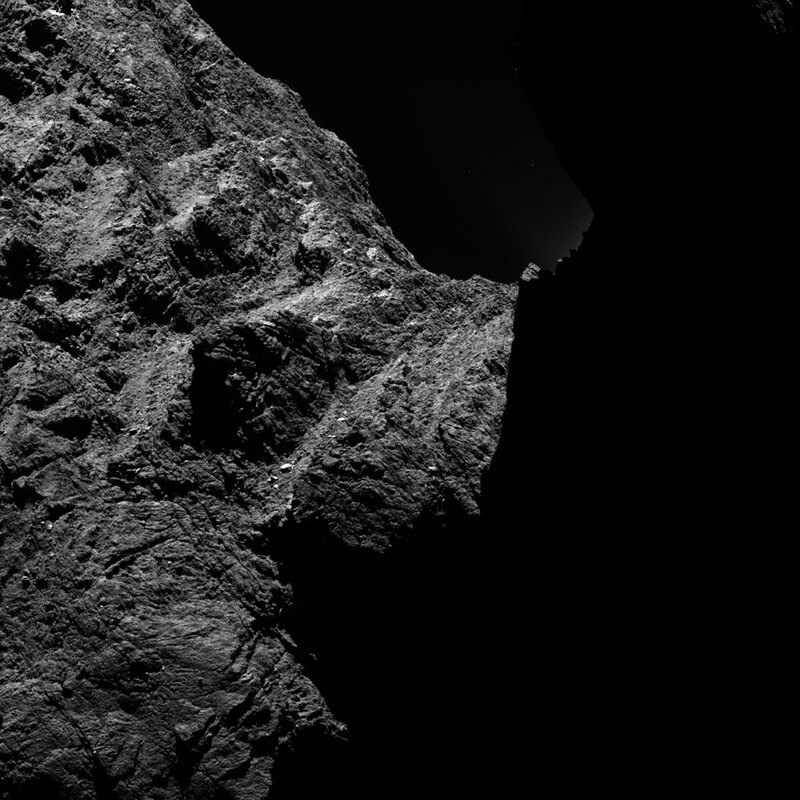 According to Philae project manager Stephan Ulmanec, a few days of sunlight would be sufficient. 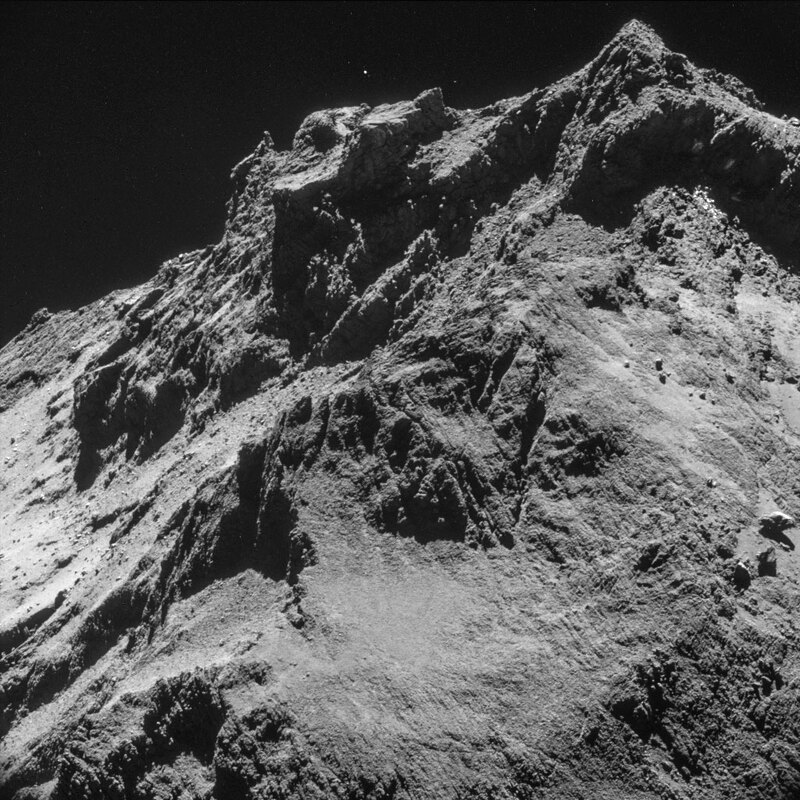 Despite the Philae mission's mishaps, it was still nonetheless a tremendous success. 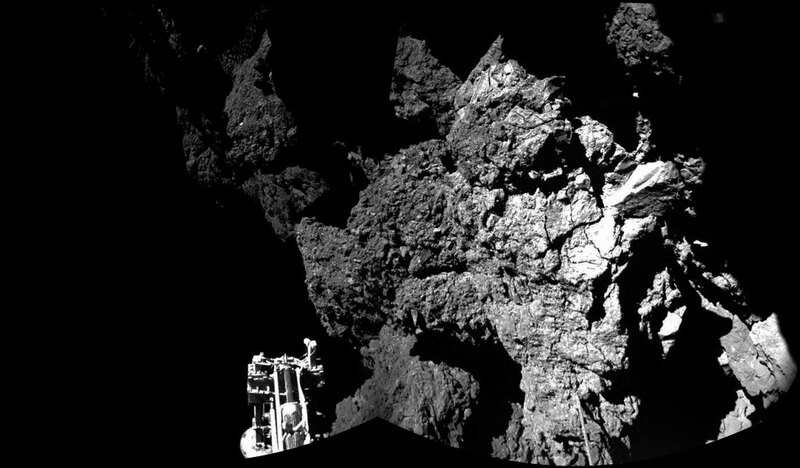 "This machine performed magnificently under tough conditions, and we can be fully proud of the incredible scientific success Philae has delivered," said Ulmanec. 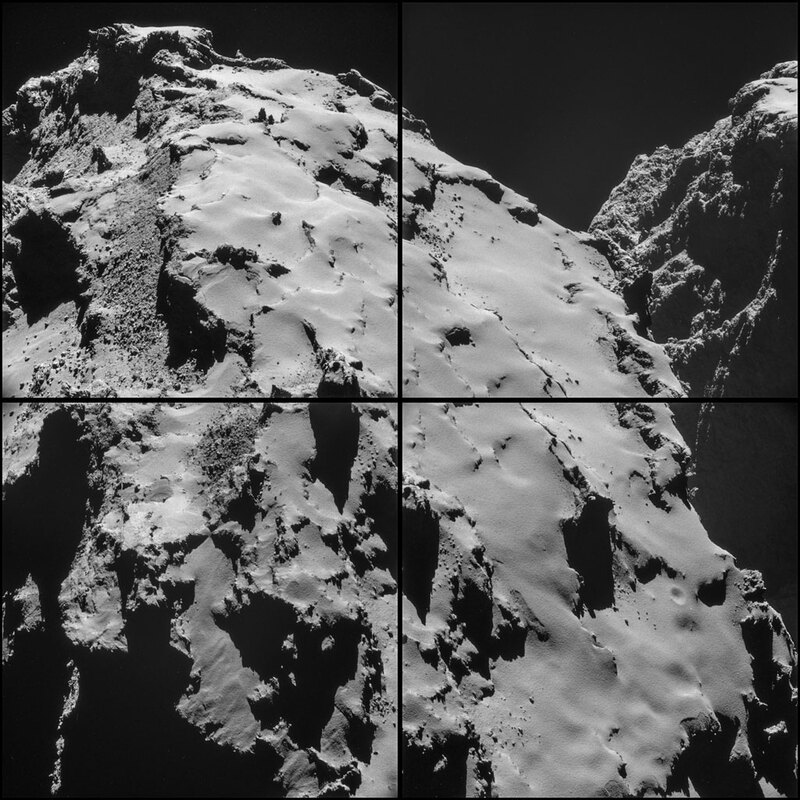 And even with Philae dead - for now - the mission continues through Rosetta.